It’s important to protect kids when they are online. Even a few simple steps can protect the safety and privacy of your children. Preventative measures for parents fall primarily into two categories: technological and behavioral. 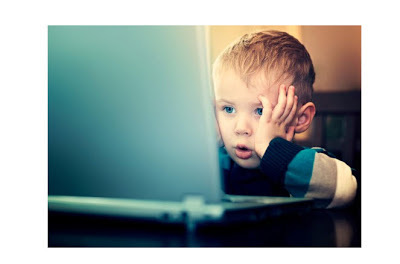 It’s up to you to decide what your child is and isn’t allowed to view on the internet. Once you deem something inappropriate, you can use software to block the content. Most operating systems include parental control features in order to allow parents to manage their children’s computer use. Other software allows you to filter select information based upon each child’s age. Features often include the ability to limit searches, block specific websites, and monitor online activity. Parental controls are also often available on gaming technology, which helps you to restrict your child’s ability to play inappropriate games or watch inappropriate movies. Web browsers also allow you to set your security and privacy preferences. You can also view all of the places your children visited online, by viewing your Internet history. You can also configure your software to allow only approved contacts when using instant messaging features. You can also create multiple user accounts for your computer. You can give yourself an Administrator account and your children limited user accounts. As Administrator, you would retain full control over the computer, whereas limited users would not be able to change system settings or install new hardware or software. While parental control technology has its place in protecting kids, you cannot rely on it alone. Simply talking to your kids about appropriate internet usage can be one of the most powerful tools a parent can use. Remind your kids not to talk to people they don’t know online. Teach them to never give out their phone number or address, never send photographs of themselves and never meet with someone they met online without your supervision. Keep computers in public areas of the home, such as the kitchen or family room. Talk to them about issues of internet etiquette, cyber bullying, and privacy. Communicate your expectations and set up clear consequences for any violations. By establishing clear boundaries, you can help your kids have a safe online experience.